Tami and I spend a great deal of time helping others with their marriages. 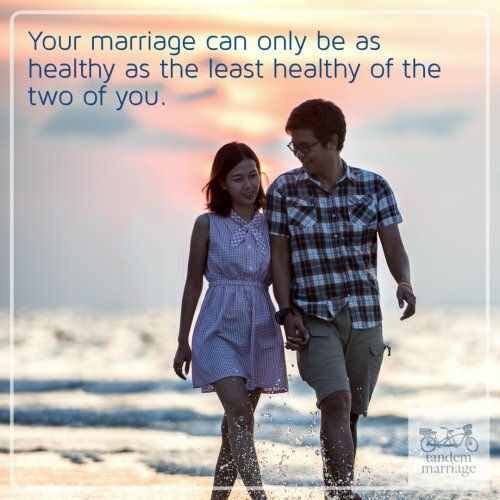 Just as important, if not more so, we spend both the time and energy working out the rough spots and differences in our own marriage too. We all have rough spots, right? 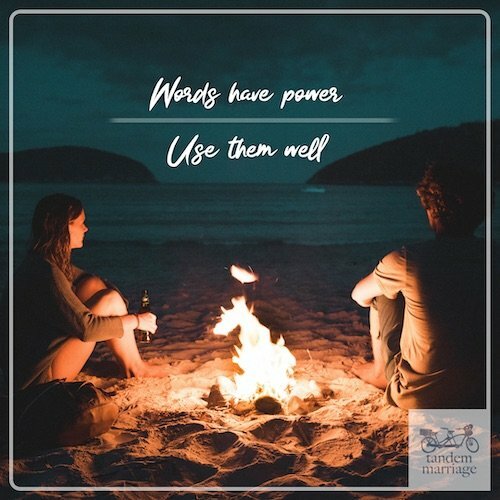 Furthermore, we take the extra step required to understand if those same helpful principles we use in our own marriage can apply to the marriages of others as well. Why do we take this extra step? Why would we do this extra work? What follows is the why behind Tandem Marriage. The homes that each of us grew up in left their marks on our lives. Some of those marks were good, and some were not so good. I (Brad) came from a broken home. My parents divorced when I was ten years old. My own childhood experience is the only one I have ever had, so I never truly knew what normal was or what normal should be. After my parent's divorce, I can recall thinking that I must be lucky because my parents usually seemed so civil with one another, I rarely remember seeing them fight. Many of my childhood friends also came from broken families, but different from my experience with my own parents, I would often see their parents involved in some pretty harsh fights – many of those fights came with awful words and some were even accompanied by things being thrown across the room at each other. The chaos in some of my friend's homes seemed overwhelming, so by comparison, I seemed to have it pretty good as a kid. In my story, my parents thought it would be better to divorce and learn how to get along as co-parents. My intent here is not to judge my parents or second-guess them, but rather to acknowledge the proverbial elephant in the room here, that my brothers and I did not have the best environment for becoming healthy, emotionally-stable adults. Furthermore, some of the deficits that really stood out to me as I got older (30s and 40s) were that I had never seen a healthy marriage relationship worked out in the home I lived in, I had never seen healthy conflict resolution in a marriage, and I did not have a parent at home during my teenage years (since both of my parents had to work full-time). Tami's story is very similar to mine since there were divorces in her family as well. Tami and I know very well how difficult it can be to stay married through all of the ups and downs of a committed relationship. We know how taxing it is to raise children and to try to do it well. We also know what it's like to lay in bed at night and lament the ways we think we messed up our own kids. Fortunately, we also know what it's like to wake up every day and agree together that we will continue to work hard on our differences, that we will forgive again for the 100th time, and that all of this hard work to stay together is better for us, for our kids, for our grandkids, and for our community. We both lived through being raised in broken homes and we want to give our own children the benefit of a family that does not have any more baggage than needed in its hierarchy. We think most people reading this will agree. Some people reading this may be thinking, "What's most important is for the husband and wife to stay together until the kids are adults and move out on their own because, after that, it does not matter." This is very flawed thinking and is not true. We personally know many families who used this exact rationale to stay together until their kids were adults, then divorced. This is equally devasting for families. Trust me when I say that having to manage which parent we invite over for birthdays, holidays, and BBQs (to mention just a few of the awkward scenarios) is awful. Here’s another real-life example: imagine a 25-year-old female who gets married and learned only a few years into her own marriage that her parents were divorcing. Her dream of what a marriage could be had just become rubble. We watched this very scenario unfold before our eyes and it was excruciating to witness. Tami and I have seen far too many families destroyed by divorce. Furthermore, we have seen too many individuals spend their lives trying to overcome the effects of their parent's divorce or even their own divorce (former marriage). Lastly, we have been there ourselves trying to work through the fallout from our own broken families. We don't want you to ever entertain a devastating thought, like a divorce, that could destroy your family for generations. This is why we work so passionately to have a great marriage and why we work tirelessly for the marriages of others as well. Honestly, we will work hard for anyone who will listen, really! So, we write blog articles and books in hopes that it will help you. We answer your questions via email and on social media in hopes that we can be of help. We even set up a page here on TandemMarriage.com that we call our ASK page. 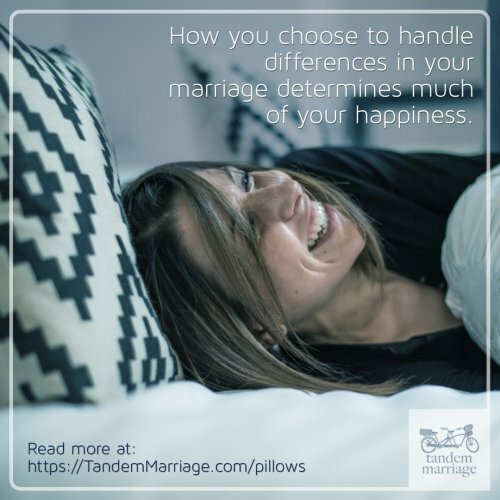 Just go to: https://TandemMarriage.com/ask to tell us a bit about you and your marriage so we can help you to have a better one. Do we really work that hard (often for free) trying to help others have great marriages? Yes, we do. This is our calling. Someone once said, "A rising tide raises all ships." We think this applies to marriages too!